It was all the way back in 1998. 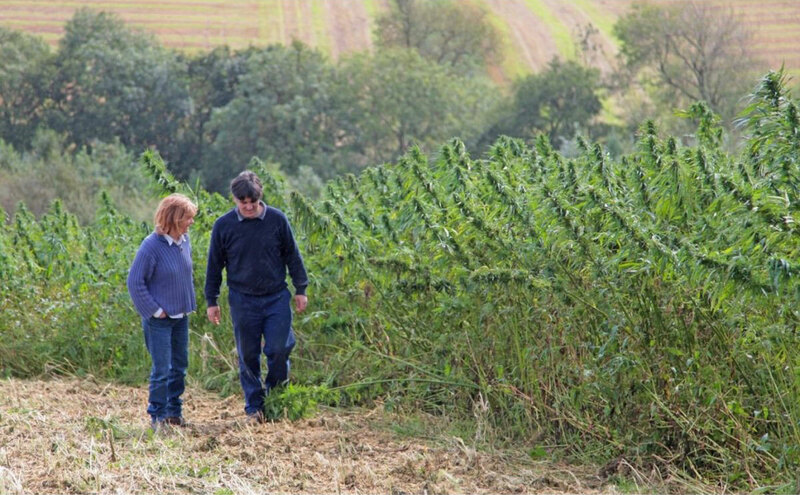 Our founders Henry and Glyn started growing hemp on their farm in North Devon, knowing it was a great plant for the soil, sustainable and grows easily without pesticides or herbicides. They would harvest the hemp once it reached full size and sell to BMW to use the stalks in their dash boards! A year or so later, Henry and Glyn were wandering around their fields and noticed a few hemp plants had been missed from harvest. Because of this, the plants had been allowed to flower, and had grown seed. Having tasted the hemp seed oil in their local health food store they were curious as to what their own seeds tasted like. To much surprise, they were delicious! The oil they had tasted before was bitter and rancid, which made them question what went wrong in the processing of seeds through to oil. 5 years of trial and error later, Henry and Glyn had discovered how to grow, store and produce hemp seed oil that tasted as delicious as the raw natural seed – and has led to the development of the hemp seed oil we make today! Onwards to 2004, and Good Hemp was oil was on sale at Henry’s mother market stall in Wiltshire – where we hear it went like hotcakes. High on confidence, Henry and Glyn went from high street to high end as they walked into Harvey Nicholls and Selfridges and sold it right in. This was picked up by chefs and nutritionists all over the world, including Jamie Oliver who famously put it on ice cream! In 2005 we launched in Waitrose, initially only into 10 stores and then grew from there! Good Oil had taken off. Fast forward to 2012 – between which time Good Hemp had been playing around with salad dressings, toasted seeds and a range of other products – we decided to shrink the range back down and focus on a new prospect – hemp seed milk. As we were already able to make a great cream from the hemp seeds, it only made sense to convert this to a milk! At the same time, we were also developing hemp protein powders that could be packaged into small tubs to be enjoyed directly by customers (previously the protein powder we made went straight to other businesses). 6 years. copious coffees and long nights later, we saw the launch of the first ever fresh hemp seed milk! Although it was handy having an ambient long-life milk that could be bought in bulk and saved in the cupboard, so many of you were buying it and drinking within a few days – we wanted to provide a product that fit this purpose and tasted extra fresh. And here we are today, March 2019. After spending a long while looking in the mirror, we decided we weren’t convinced with what we saw staring back. We knew what we stood for as a brand, but we weren’t sure if you guys knew. We thought back to the principles that Henry and Glyn started off with many moons ago – not settling for less, being the change you want to see and having the courage to try something new. It was the outstanding benefits of hemp, for both health and the planet, that made Henry and Glyn persevere all of these years. They truly believed in the powerful properties of this incredible plant and have convinced many of us of this too. So this is us now. We may look a little different to a year ago, but wanted to show you that we not only have something to say, but that we have something really good at the heart of it as well; honest food and drinks, made from a seed that’s as good for the planet as it is for the people on it. After all, nothing changes, if nobody changes.